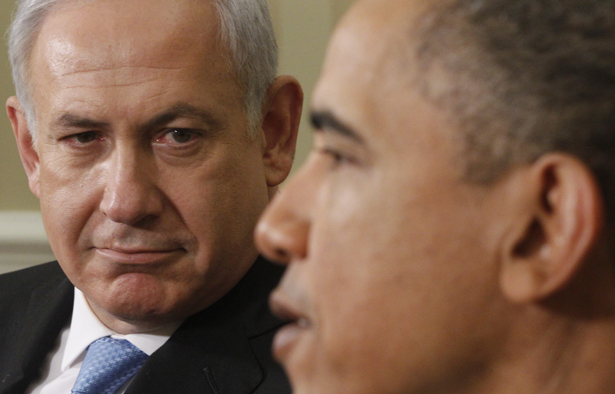 Can AIPAC Stop the Obama-Kerry Plan for Israel-Palestine? Over the next few weeks, President Obama will meet the leaders of Israel, Jordan and nearly all of the Persian Gulf Arab states. With the American Israel Public Affairs Committee in a weakened state because of its huge defeat on Iran—where AIPAC tried and failed to undermine the US-Iran talks by demanding provocative new economic sanctions—it’s the perfect moment for President Obama and Secretary of State John Kerry to unveil their peace plan for Israel-Palestine. As Trita Parsi points out, AIPAC has suffered a series of important setbacks recently, and it’s in no strong position to fight Obama over Israel. Given that the problem has festered unsolved since 1967—or, depending on your view, since 1948—it’s a good idea to be skeptical. We don’t know yet the specifics of the plan that Obama and Kerry are considering, although it’s increasingly clear that it will require extraordinarily vast sums of cash to make it work: billions of dollars for economic development in the West Bank and Gaza, billions more to resettle Israeli settlers who are evacuated from West Bank settlements, more billions to compensate Palestinian refugees who demand their “right of return” but who certainly won’t be going back to Israel in more than token numbers, more billions for Israel to compensate Jews who’ve fled Arab countries over the past decades, and finally, yet more billions for Jordan, which is increasingly nervous about the idea of any settlement that endorses the ongoing presence of millions of Palestinians in Jordan, including those in refugee camps. That, by any account, is a lot of money. If Secretary of State John Kerry brings his peace mission to a head and presents the parties with a clear framework for an agreement, Israel and the Jewish people will face one of the most critical choices in their history. And when they do, all hell could break loose in Israel. And when all hell does break loose, it won’t be so easy for Prime Minister Benjamin Netanyahu to call the AIPAC hot line. Palestinians, too, are suspicious and skeptical, of course. Kerry may wind up leaving on Israel’s doorstep what the White House believes is the greatest threat to American national security—al Qaeda…. The deal Kerry is brokering is not for an independent Palestinian state but for a failed state, dead on arrival. Contrary to what Kerry may profess, the status quo is not only sustainable, but for Israel, the Palestinian Authority, and Jordan it’s also preferable to al Qaeda on the West Bank. That’s nonsense, of course. Fact is, the Palestinians will get far less than half a loaf in any deal with Israel, but given the power imbalance between the two sides, most Palestinian leaders have long ago recognized that there’s a limit to what they can achieve, and that they’ll have to settle for a state on the West Bank and Gaza, with some territorial swaps and a share of Jerusalem as its capital. That won’t many everyone happy, and it’ll draw fire from the folks who still believe in the absurd idea of a “one-state solution,” in which Jews and Arabs live side-by-side happily in a state—to be named later, I suppose—that will include Israel and the occupied territories. That, simply, ain’t gonna happen. The March trip to Saudi Arabia, Mr. Obama’s second, is shaping up as a crucial mission that Arab officials say will draw in leaders from other Persian Gulf countries for a regional summit in the Saudi capital. U.S. officials said arrangements for such a summit weren’t completed. While the Saudi visit, and the meetings with other Persian Gulf Arab leaders, will undoubtedly have to deal with the unhappiness among the Sunni kleptocracies over the idea of US-Iran entente—and the related notion that the United States might strike a deal with Russia to settle the war in Syria in a way not completely to the liking of the Saudis—the issue of Israel-Palestine is a huge one. Ever since 2002, Saudi King Abdullah put forward an Arab Peace Initiative for a deal with Israel, and he’s been miffed ever since that first the Bush administration and then Obama gave it short shrift. Now, the Obama-Kerry plan will be based in part on the ideas in Abdullah’s 2002 initiative. But it’s going to be a bumpy ride.